The perfect base from which to explore the High Country. Central to Boone, Blowing Rock and Banner Elk, Echota is at the center of the best the area has to offer. 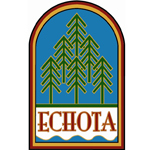 Featuring homes, townhomes and condos.Echota is sure to have your ideal vacation home. A Grand Clubhouse, Four Season Indoor Pool and Fitness Center are only a part of the amenities at Echota. 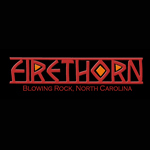 Located just outside Blowing Rock, Firethorn is an exclusive collection of neighborhoods set in dense forests, some along a river or stream, and some on high meadows with unmatched long range views. With an extensive system of trails and common areas, Firethorn offers an unparalleled opportunity to get back to a quieter, more relaxed pace, in a private close to nature environment. Distinctive homesites remain. SweetGrass, developed by CNL Real Estate & Development, is a mountain lake community framed by amazing views of Grandfather Mountain, the Blue Ridge Parkway and Julian Price Memorial Park. The natural characteristics of SweetGrass come together to offer a remarkably inspired lifestyle for the families who choose to make SweetGrass their home. The 272-acre community features cottages, cabins, mountain lodge homes and estate lots.